The combat ACOG scopes were designed for the military due to their powerful magnification and night illumination capabilities. The ACOG scope is a wonderful piece of hardware equipment that is manufactured to serve the military’s demand. This scope has the most massive magnification power as well as night mode vision. That is why if you have seen the sleek and modern ACOG scope on the military or officer’s rifle, it is the actual ACOG scope. However, if you see the same looking ACOG scope on the civilian tactical weapon, then it will always be the ACOG clone. So if you are the dedicated hunter or you want to experience shooting with a tactical weapon and ACOG scope, the ACOG clone will be the perfect purchase that will enhance your shooting experience and take it to the next level. What is The Difference Between The Original ACOG Scope and The ACOG Clone? Before deep diving into the reviews, it is essential to take a peek at the history of the ACOG. It will give you more knowledge to pick out the best scope that suits your need. ACOG stands for Advanced Combat Optical Gunsight, which is produced by Trijicon. 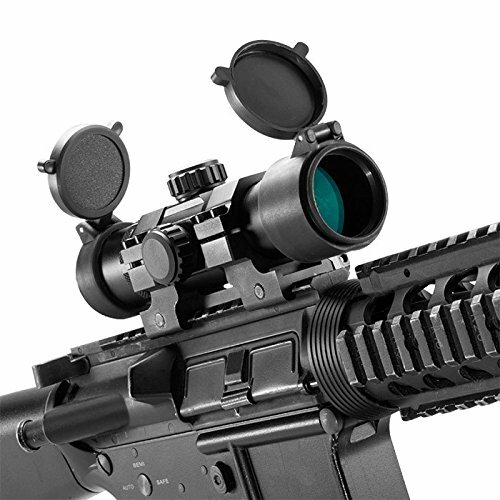 The scope was made to be equipped on the M16 and M4 rifle originally, but there are other variations for the ACOG scope which can be attached to other guns. The most crucial feature of the ACOG scope is the night vision, which comes from the illuminated reticles at night. This has made the scope widespread for military service, especially in tactical forces. The scope was first seen in action in 1987, which the first model called TA01. Like we have already discussed above, one of the features that make the ACOG scope popular in tactical usage is the ability to illuminate through the dark environments. Majority of ACOG scopes do not use the batteries to power up the reticle illumination. The brilliant solution of internal phosphor illumination comes from the radioactive decay of tritium, which can last for more than ten years. Furthermore, some ACOG scopes can light up the reticle in the daytime with the assistance of the external fiber optic pipe. There are some versions of ACOG scopes that let the users aim with both eyes open. This great technology is called the Bindon Aiming Concept. Thanks to this feature, the shooter can maintain a broad spectrum of environment view why aiming down range through the scope optics. All ACOG clones will use a battery for the night view illumination. And most of the ACOG clones will have limited both eyes open aiming feature. Now you may wonder why we would want an ACOG clone instead of the original one? It is because the actual ACOG scopes are very expensive. The standard model can cost more than 3000 USD which makes it an extremely investment, especially if you just want to try out the options. That is when the ACOG clone shines. You can enjoy the primary function of this powerful tactical scope while do not have to spend a hefty budget. Because there are many knock-offs in the market, do not forget to check out the rail compatibility for your ACOG clone. The original ACOG is made mainly for the combat rifle. However, there are many clones that are made suitable for other firearms such as a shotgun. Make sure that your ACOG clone will fit perfectly into the rail of your rifle otherwise you will waste the money for nothing in return. Now that you have understood the difference between the two variations of the ACOG scopes in the market let’s dive straight into the review of the best ACOG clones in the market. The Bushnell has a 1x magnification power that is designed to lock down the target with massive speed. You can choose between the green illuminated reticle or the 3MOA red reticle, depending on your preference. More importantly, the Bushnell offers up to five different settings for the scope illumination. That means no matter what the lighting condition is, this scope will always yield back the highest quality image. Notice that this scope uses the battery for reticle illumination. The battery has a long life that is quite optimal for long and responsible usage. Moreover, the Bushnell has a 32 mm optic lens that is amber coated to assist the light transmission within the scope. With this feature, the target in the darkness of the night will stand out more clearly. Quite heavy on the weight, which might make it slightly inconvenient when mounted on a rifle. The Barska is built with the primary aim to acquire target rapidly and render the target’s image with the highest fidelity. While the Barska is not a replica of the ACOG scope, it does indeed offer a lot of similar functions for a more affordable price. 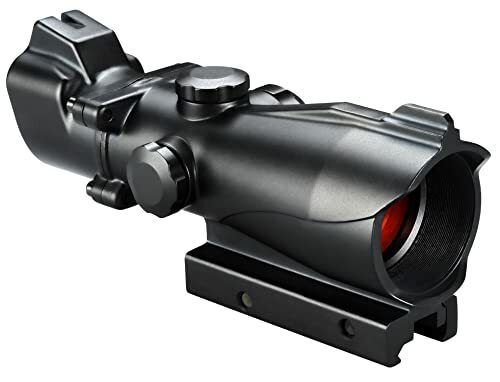 Right out of the box, this scope provides the users with an enormous seven reticle illumination settings. It also is battery powered like the rest of the scopes on the market. Within the scope is the IR red cross reticle that will illuminate against any target in low or poor lighting environments. That is not to mention the multi-coated ruby lense that offers the maximum light transmission within the tube. Another feature of this scope is the medium range of 100 yards. The user can set the scope for a parallax free experience. This is one of the best settings that will deliver the optimal accuracy on the medium range hunting. Last but not least, the scope is manufactured with waterproof, fog proof, shockproof material, which will endure the scope’s longevity for long term usage. The turret on the scope also has an option to compensate for wind effect and bullet drop effect. The battery is drained quickly while using the high power magnification. The first thing that you will automatically notice when picking up this scope for the very first time is that it is very lightweight. It is because the entire tube is made from aluminum alloy which aims primarily at reducing the mounting weight on the rifle, thus minimizing the stress of the users while aiming down range for an extended time. Another notable feature that you will notice at first glance is that this scope is very similar to the original ACOG scope. It is indeed the closest replica to the Trijicon’s ACOG with the sleek design and all that functional technology. While still using the battery as the main power source for the reticle illumination, the scope also has an extra fiber optic cable to act as an extra energy reserve in case the battery power is completely drained. 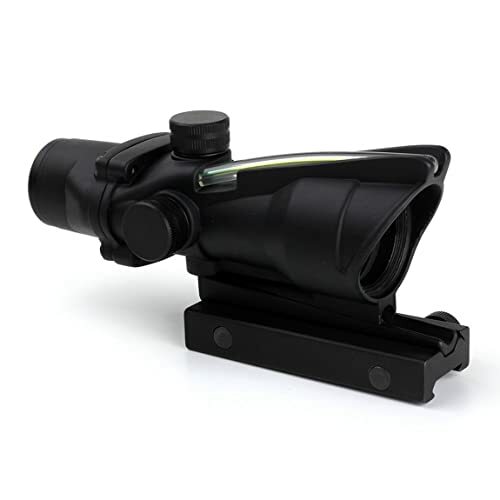 The scope’s lens is optimized with auto-configuration for elevation and windage. That means that the reticle will hold a stable position even on the windy day out in the field. Just like the name of the scope suggests, the reticle is a 4MOA green dot, with will not hinder the target’s image. It is very convenient to aim and acquire small and moving target within 100 yards. You should have detailed knowledge of the best ACOG clones in the market by now. What you should buy will be defined by your demand. 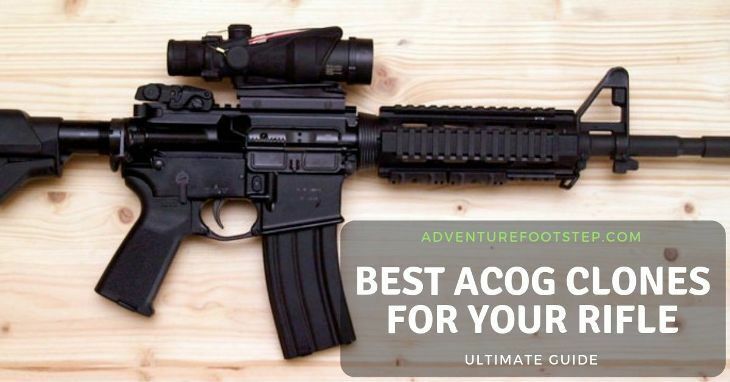 Because of being the replica of the original ACOG scopes, all the scopes we have discussed above is very affordable for any shooter that wants to have some fun experiments with a tactical scope. 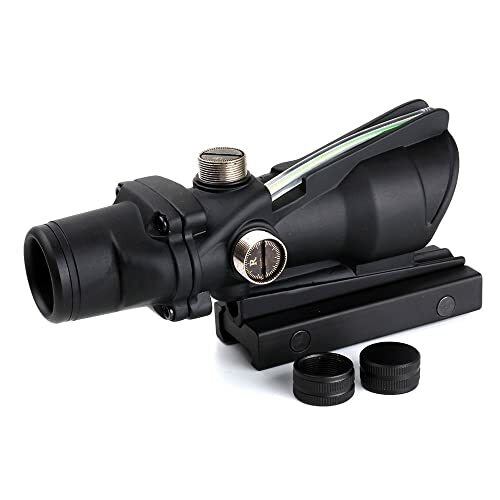 If you are looking for the scope that is as close to the original ACOG as possible, then the BD Tactical Clone should be an excellent purchase. However, if you want something a little bit more flexible with the illumination settings, consider the BARSKA. This brilliant scope has seven lighting settings for you to select. Finally, the Bushnell is a fantastic choice if you want to experience some fast action with the tactical scope. It has the amazing target acquisition speed that can rival any other adversary scopes on the market.